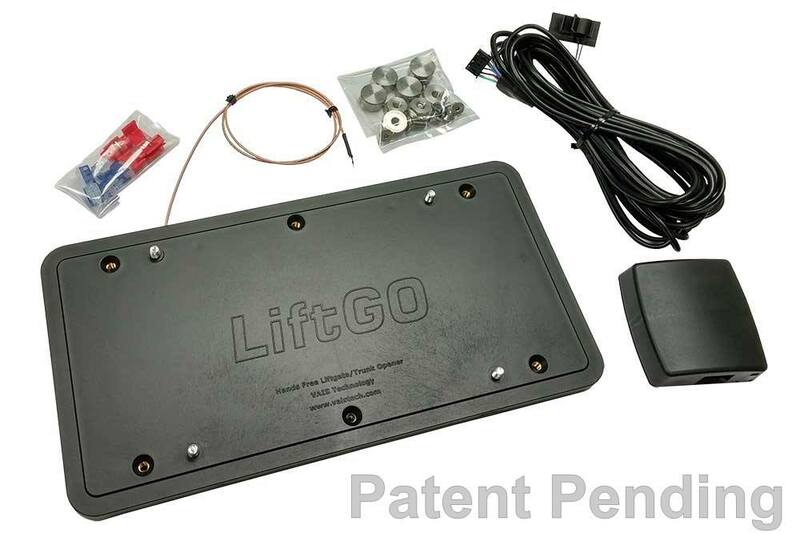 LiftGO is designed to withstand a harsh automotive environment. All parts are built with tough automotive components and can survive temperatures from -40F to 185F, UV light, moisture, and any chemicals found on the roads. The LiftGO sensor is mounted behind the license plate. Its shape mirrors your license plate. To activate the sensor all you have to do is make “in and out” movement near the license plate. To be recognized by the LiftGO movement has to be within 6 inches of the license plate. 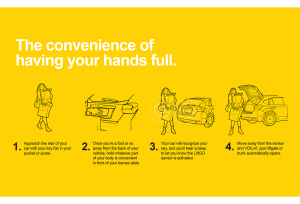 When making “in” movement you have to hold your hand or any other body part near the license plate for a split second to hear a recognition beep, then move away. Once the sensor is activated, the car will verify your factory key fob, and open the liftgate/trunk for you. This product does not jeopardize or alter factory security; in fact it will only open the liftgate after the factory security has verified the driver via the factory key fob. 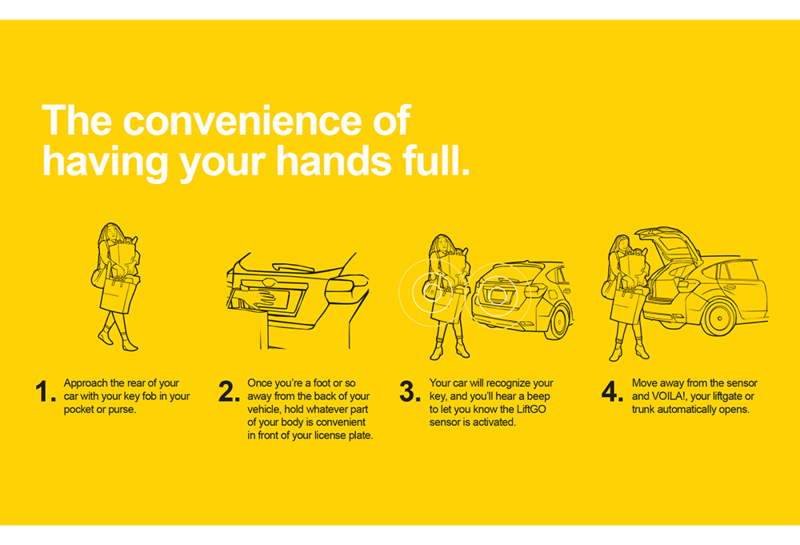 You can use your hand, knee, elbow, or any other body part, and even most everyday items to activate the sensor. The unique sensor location allows us to make this product for both SUVs and sedans. Once installed, LiftGO is barely visible behind your license plate. Sensor thickness is only .5 inches. LiftGO installation does not require any metal drilling. It uses a vented screw to insert a cable inside the car.